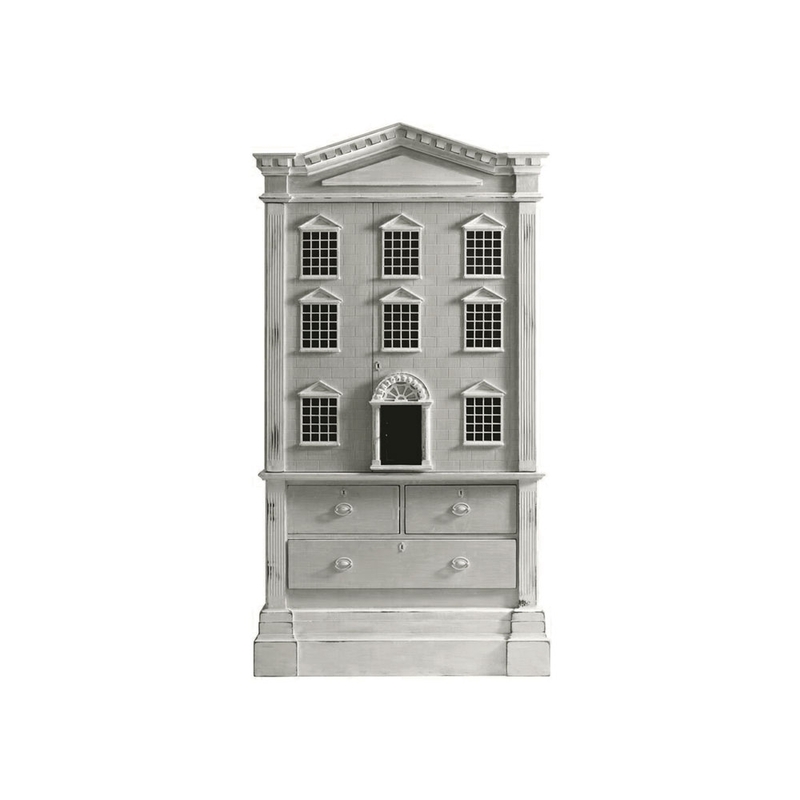 This handcrafted dolls' house cabinet radiates innocent charm. Beautifully detailed in Neoclassical architectural style, it features a grey, brick-look façade, safety ensured window panes, a decorated archway with a wooden oak door and Doric columns. The cabinet doors open with a faux key to reveal 2 adjustable shelves, set above 3 English-dovetailed drawers. Gorgeously playful, maybe even use it to store your real dolls' house, for the Russian doll of meta. A touch sensor in the lower right door hinge operates the light fitted in top of cabinet; bulb included.